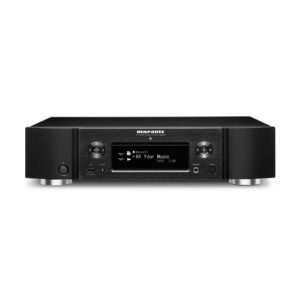 Enjoy a thrilling high-resolution audio experience with the Marantz NA6005 network audio player, which features built-in Wi-Fi® and Bluetooth® wireless streaming via dual Wi-Fi/Bluetooth antennas, and built-in Spotify Connect®music streaming via your home network as well as AirPlay® and internet radio. 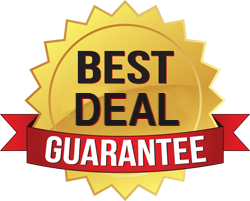 Marantz ND8006 is the complete digital music source player that delivers world-class sound from unlimited music sources, including online streaming services, HEOS multi-room technology, locally stored high-resolution audio files, CD audio playback, Apple AirPlay, Bluetooth and more. Marantz design engineers took everything learned in developing the Premium Range and applied it to this first-of-its-kind, exquisite player. 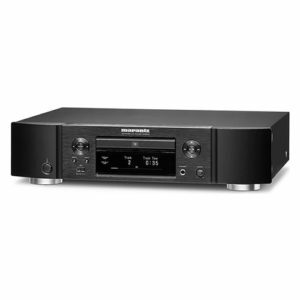 With the Marantz ND8006, it’s easy to upgrade any existing audio system and the enjoy best of digital music. Wherever and however your favorite music is stored, enjoy it now with pure quality — because music matters.